I didn't even realise there was a P38 section on here! 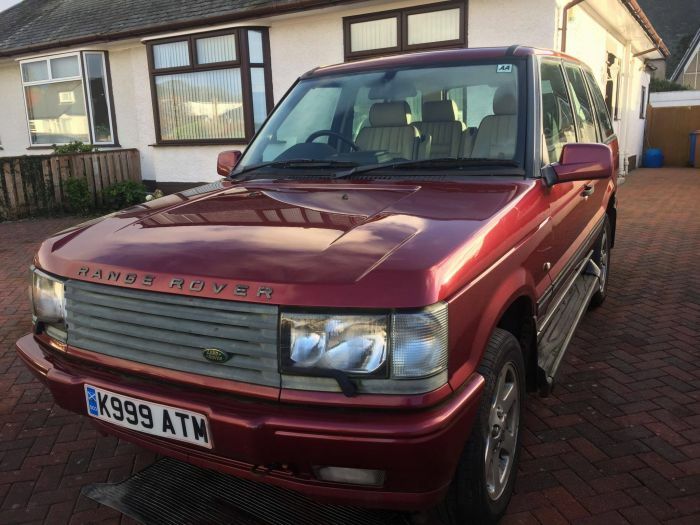 On Saturday last week I stumbled across a 2002 Vogue SE in Alveston Red about 25 minutes from here A deal was promptly done for less then 2 years worth of road tax on the FF and I ended up bring P38 number 5 home. This thing is pretty much immaculate! Apparently it's one of only 35 in this spec/colour. It needed a couple of little jobs doing. A power steering pipe was leaking, as it turns out, the one on my breaker appears to have been replaced very shortly before it became a breaker so I swapped this over. The EAS compressor on the car was knackered, I was given a refurb unit with the car but the thermal switch was faulty so I managed to make one out of two and that cured the slow EAS. Turns out that both front bags have perished so I've ordered them today along with a full service kit. It now sits on the driveway beside my other 2002 Vogue SE, this ones Oslo Blue. This one needs some tidying up and the bumpers respraying but it had a brand new top hat linered engine fitted to it 5k miles before I bought it. Plenty to keep me busy over the winter months! 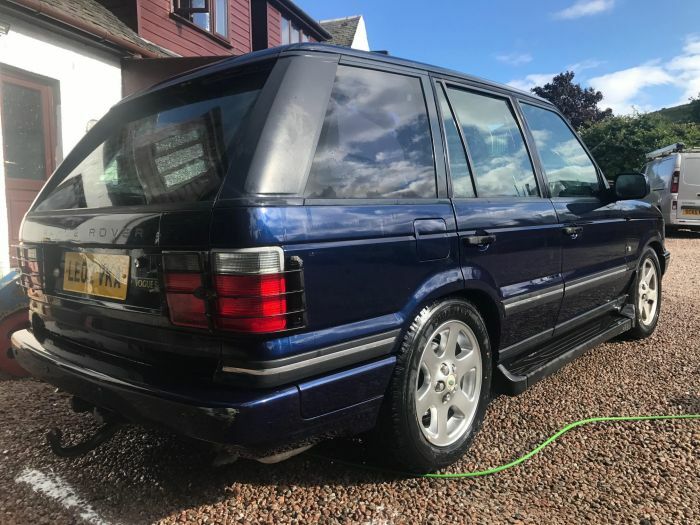 I've also got a 1999 T reg 2.5 DSE in Oxford Blue, this one was dutifully towed home with our 1997 4.6 HSE as the auto box had died when the owner ran it out of gearbox oil after the cooler split. He'd also wrecked the viscous coupling on it by running it with different sized wheels instead of putting new tyres on the other two! In typical P38 fashion, the EAS compressor on the 4.6 packed in on the way home with the DSE on the trailer with a dead gearbox. One of these days I'll learn and downsize to one Range Rover... 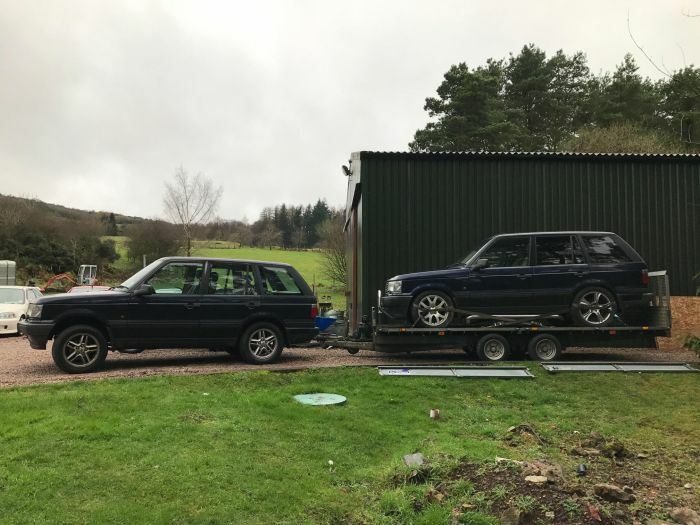 It is true what they say though... You do need more then one Range Rover... especially when it's P38's you've got! I love p38s , always have done and never had ANY major issues after 4 of them . The only reason I sold my last 2.5 diesel was because it was far too fast . I don't really have fond memories of my 4.6 HSE TBH. Nowt but trouble.